Did I say that we would be taking a much briefer look at vitamin D? HA! In my mind I thought that the more extensive research done on vitamin D (as opposed to B12) and its prevalence in medical thought of the moment would make it easier to write about. I was wrong, wrong, wrong. There is so much information that we will be taking a much less comprehensive look at vitamin D, and I will provide sources for your further research; otherwise, One is Hungry will begin to look like a medical treatise rather than a helpful, easily understood food blog! What is vitamin D, and why on earth does it matter? Vitamin D is a fat soluble vitamin that may be obtained in two ways. The first, and most effective, is produced cutaneously, or by the skin, after exposure to UVB radiation (the sun). The second means of obtaining vitamin D is orally, either through foods or supplements. Though there are many types of vitamin D, the two thought to be most beneficial to humans are D2, which is primarily vegetal, and D3, which is produced in the skin and can be found in some food sources. Below is a chart of the blood test numbers, and how they translate for you. * Serum concentrations of 25(OH)D are reported in both nanomoles per liter (nmol/L) and nanograms per milliliter (ng/mL). Vitamin D is widely recognized for its importance to bone health. Properly processed vitamin D is necessary to the body’s healthy absorption and use of both calcium and phosphate. In children insufficient vitamin D, and thereby calcium, can show up as rickets and improper skeletal development. In adults brittle bones are a common outcome. What is not as widely discussed is the effect vitamin D has on our health at large. Current research links vitamin D to healthy body weight, immune function, brain development and maintenance, respiratory health, diabetes, cancer prevention, and heart health! A few studies are even linking vitamin D deficiency to chronic migraines. Those with limited sun exposure due to inclination, culture, or climate. The sunscreen message has gotten across to the public, and as skin care routines get better, vitamin D levels get lower. In most cultures, our strict adherence to covering our bodies with clothing is a point against cutaneous vitamin D production :) . There are also geographic locations in which the amount of UVB radiation available at certain times of year is insufficient to our needs. Darker skinned ethnic groups are more susceptible to a vitamin D deficiency as the increased melanin in their skin does not allow for the same levels of vitamin D production after exposure to UVB radiation. Finally, as we age our bodies produce less vitamin D through sun exposer. Also at risk are those with limited oral intake, and those with impaired intestinal absorption (Celiac sufferers, Crohns, and the like). Infants being breastfed by women without sufficient vitamin D stores are at great risk for vitamin D deficiency. Gastric bypass surgery patients and those following extremely low-fat diets are very likely candidates as well. My personal choice is move to the tropics and live a life of naked, un-sunscreened happiness! However, as that is not an option for 99.99% of us, what else can be done? Limited, sun-screen free exposure to the sun was the first thing my doctor recommended. 10-20 minutes a day (depending on skin sensitivity and climate) in the summer months is ideal. For those with a strong family or personal history of skin cancer, extreme northerly and southerly climates, and winter-dwellers everywhere outside the tropics: the answer is supplements. My fist question to my doctor was: can I try to manage this with diet? She tilted her head and said, “Sure,you can try”. According to the Mayo Clinic, her response should be interpreted as “No”. The following excerpt is from a Mayo Clinic Study published by the N.I.H. 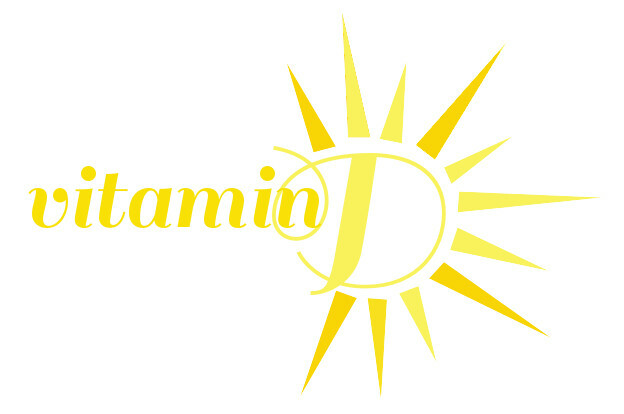 Many patients and physicians think that adequate vitamin D intake can be obtained via diet alone. This assumption is erroneous. With the exception of fatty fish, the vitamin D content of most foods, including fortified dairy products, is relatively low to nonexistent. Even some dairy products in the United States are not fortified, making it important to read food labels to ensure the vitamin D content of foods. The only absolutely reliable source of vitamin D that all experts seem to agree on is oral supplements. As there is an opposite risk of vitamin D toxicity, it is recommended that the average adult not take over 800 to 1000 IU/ per day. Your personal dosage is best determined with your doctor! So, what foods have vitamin D? This list is going to look surprisingly similar to that for B12 . Fatty fish are the number one dietary source of vitamin D. After that, meats, eggs, fortified dairy, cereals and soy products make up the remainder. The list below, like the list for the B12 entry, is from the N.I.H. In the source materials at the bottom of this article is a link to an extended food list from Self, and one from World’s Healthiest Foods. * IUs = International Units. ** DV = Daily Value. DVs were developed by the U.S. Food and Drug Administration to help consumers compare the nutrient contents among products within the context of a total daily diet. The DV for vitamin D is currently set at 400 IU for adults and children age 4 and older. Food labels, however, are not required to list vitamin D content unless a food has been fortified with this nutrient. Foods providing 20% or more of the DV are considered to be high sources of a nutrient, but foods providing lower percentages of the DV also contribute to a healthful diet. The U.S. Department of Agriculture’s Nutrient Database Web site lists the nutrient content of many foods. It also provides a comprehensive list of foods containing vitamin D. A growing number of foods are being analyzed for vitamin D content. Simpler and faster methods to measure vitamin D in foods are needed, as are food standard reference materials with certified values for vitamin D to ensure accurate measurements . If you have made it this far, thanks for sticking with me. Remember that chart at the top listing vitamin D serum levels in blood, and what those levels mean? Well, 30 and below is considered deficient; I came in at 23 or 24 (I’ve lost the paper I wrote it down on :S). So, my doctor told me to get some sun, and take 1000 IU per day. She did not specify between D2 and D3, so for the moment I’ve chosen D3. I’m going to talk to her about it further at my three month check-up. It is still too early for me to say positively what effect the B12 shots and vitamin D supplements are having. For the first full month I had bronchitis; I just took my second shot a few days ago, and am on a steady routine with the supplements. My migraines have not gone away entirely, but, at the moment, I’m no longer experiencing them every day. Progress! I’m also sleeping more deeply than I can ever remember doing, but as it is winter, and I’ve been sick, I don’t know if it is the med.s or just hibernation. Remember, if you are using this article for your own health education, it is a very broad overview. Please see the sources listed below for more information, and definitely consult your G.P. Coming up soon we will finally be getting back to recipes (HOORAY) and a big update on the condo situation! See you soon. This entry was posted in allergy elimination diet, this, that and the other on January 29, 2013 by Brandy. I Have Been Found Lacking. . . In March 2012 the migraines that had disappeared when I eliminated dairy from my diet in 2010 came back with a vengeance. At the time I attributed it to a particularly bad allergy season. The migraines and bad headaches stayed constant for three weeks, before eventually subsiding into an occasional (roughly once a week) annoyance. However, shortly after returning from our last trip to Australia in July the severe headaches and migraines became a permanence. I put off friends, week after week, with hopes of getting together soon. I had to stay away from any place/activity with odd or loud noises, or bright lights. I became increasingly vigilant about keeping cow dairy out of my diet, and just sort of hoped it would all fix itself. After five months, I decided enough was enough, acknowledged that it could be a serious problem, and went to see my doctor. After an examination, she was fairly confident that I wasn’t showing the symptoms of a tumor (her first concern: a valid, though seemingly dramatic, concern considering my history). She was a bit perplexed; we talked about revisiting allergy treatments, seeing an ENT, but all without much conviction of success. She also decided to do some blood work to be on the safe side, looking at it as an unlikely contender for problems. Well, the results are in, my friends. Much to my doctor’s surprise and mine, I have a severe B12 deficiency, and a moderate Vitamin D deficiency. What is B12 , and why on earth does it matter? 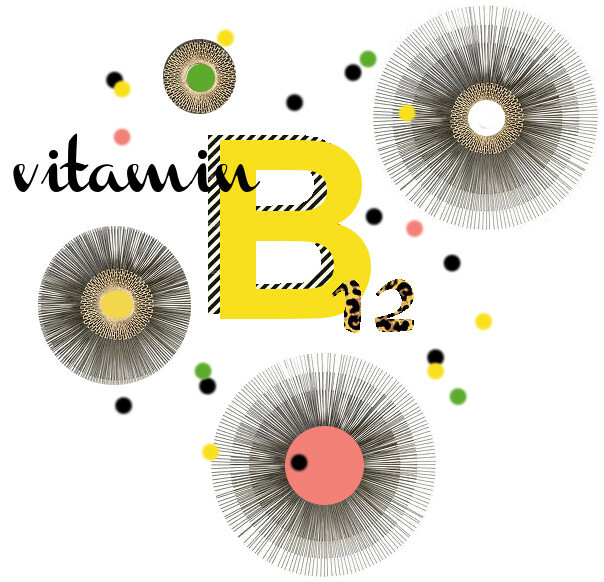 B12 is a water soluble essential vitamin that can only be gotten from animal products or man made supplements. B12 is bound to protein in foods, separated by acid in the stomach and absorbed through the digestive tract. B12 is stored in the liver, and in healthy individuals there is usually enough stored to maintain normal function for several years. B12 is necessary for building and maintaining a healthy nervous system, building DNA, and the formation of red blood cells. A deficiency, left untreated, can result in fatigue, muscle weakness, shakiness, anemia, unsteady gait, incontinence, low blood pressure, depressions, and memory problems. In its more serious forms, a deficiency can even lead to hallucinations, paranoia, coronary heart disease, stroke, and pernicious anemia! In the United States, blood levels below 200-250 pico grams per milliliter (depending on source) are considered unacceptable. In Japan, levels below 500 are considered reason for treatment! My number was 164. I’ve yet to find many studies that link specific numbers to exact symptoms, but at least a few have said that below 140, cases of pernicious anemia begin to rise. Assuming a healthy system, it is recommended that the average adult consume at least 2.4 micrograms of B12 per day to maintain a good store in the body. Unfortunately, for some of us, that is not sufficient. Deficiency is most common among the elderly. As we age, our bodies produce less of the acid necessary for the processing of B12. Also at risk, and for similar reasons, are those who frequently use acid blockers (think heartburn meds.) that stymie the body’s natural acid production. Other vulnerable groups are vegetarians, vegans, diabetics taking certain medications, heavy drinkers, those with Celiac’s, Crohn’s, and immune deficiencies. Babies being breastfed by vegetarians and vegans are at serious risk. For some of these problems, it is necessary that B12 be introduced to the body in such a way that it bypasses the digestive system, which, even in the healthy, disposes of many of the vitamins and nutrients we consume. So, for me, and for many people with a severe deficit, there are shots that can be taken anywhere from once a week to once a month until levels become more stable. There are also varieties that are absorbed under the tongue, patches, and traditional pill-form supplements. I was prescribed one 1000 mc g shot per month, or 2000 mc g of pill supplements per day if serum could not be obtained (there is currently a production shortage). The pill form of a dose will almost always be higher to make up for what is filtered out in the digestive tract. It is up to your doctor to decide the type and amount most suited to your needs. So, what foods have B12? There is some debate over food sources of B12. There are certain individual/websites/books touting a vegetable or algae source of B12. However, most studies agree that the vitamin in question is a pseudo-B12, which can mask a deficiency in blood screenings without providing what the body needs to maintain healthy function. An excess of folic acid can also skew screening results. If a B12 deficiency is suspected but results are inconclusive, there are other levels that may be measured to obtain reliable information; be sure to discuss with your doctor. That aside, the one thing every study agrees on is that animal protein is the best natural source of B12. For vegetarians and strict vegans that can pose a problem. For those individuals there is the option of B12 fortified foods, and, of course, supplements. See the handy NIH food chart below for more details. *DV = Daily Value. DVs were developed by the U.S. Food and Drug Administration (FDA) to help consumers determine the level of various nutrients in a standard serving of food in relation to their approximate requirement for it. The DV for vitamin B12 is 6.0 mcg. However, the FDA does not require food labels to list vitamin B12 content unless a food has been fortified with this nutrient. Foods providing 20% or more of the DV are considered to be high sources of a nutrient, but foods providing lower percentages of the DV also contribute to a healthful diet. The U.S. Department of Agriculture’s Nutrient Database Web site ) lists the nutrient content of many foods and provides a comprehensive list of foods containing vitamin B12. Still with me? Awesome, we are almost finished. What all of this means for me, personally, is one shot per month of B12 for three months. Then comes new blood work, which will hopefully show a great deal of improvement. My dosage will be adjusted (or not) accordingly. But, here is the important thing: I will probably be taking some form of supplement forever. All of the studies I’ve read and my discussion with my doc. indicate that once a deficiency is present, it means a lifetime of playing catch up. I’m still trying to find more information about that aspect; I’ll pass it on once I know more. Next time, we will take a much briefer look at Vitamin D, as affects the health of you and me (specifically, how it may be responsible for those migraines). Cheers, dears! This entry was posted in allergy elimination diet, this, that and the other on January 16, 2013 by Brandy. Today is the first day I’ve been able to get out with collapsing into a coughing, wheezing heap of sick. This is my third case of bronchitis this year, and by far the worst of the lot. It has also been the most contagious; at last count we infected five family members (both families over Christmas) and one co-worker. This afternoon I hauled my pale-as-a-sprout self over to the colonial area to walk around in the sun, and work with the camera a bit. One of my favorite things about Colonial Williamsburg is the gardens. We are here for work about twice a year, every year since 2008, and I still tour the gardens every time: I am a dirt dauber! They have formal English style gardens, working, educational vegetable gardens, and even a gorgeous estate size garden/park. 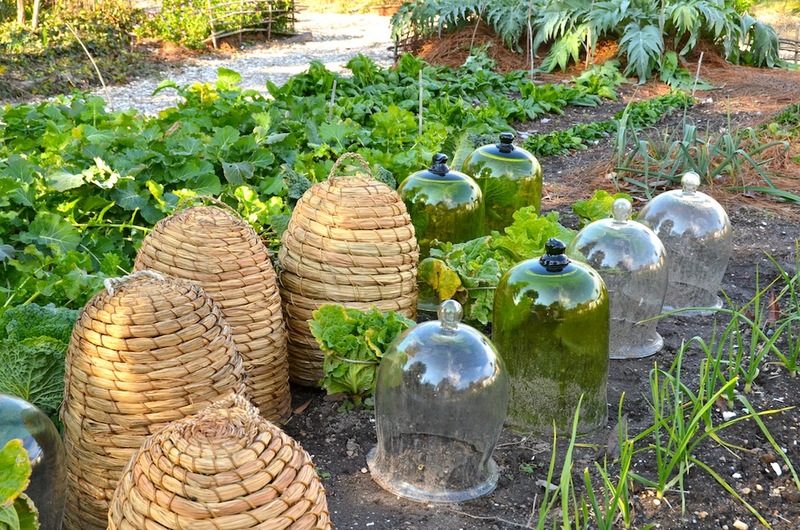 Aren’t these cloches stunning. The vegetable garden across from the church has an enviable display of winter greens, onions, and some hidden pockets of cheerful pansies. 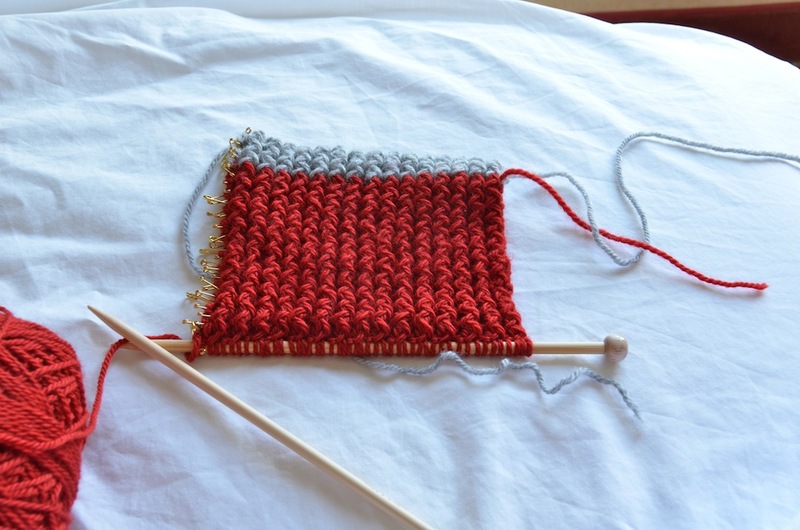 Also, here is my first attempt at a knitting project. I chose to start with a scarf for Jason done in rick rack stitch; I found the pattern on Purl Bee. I’ve learned that I cannot keep up with stitch count from one row to the next. I can’t even put counters on every other row yet. I ripped everything out three times before I finally started marking each row! Okay, enough of my fiber frenzy (seriously, I’m going to have to start another craft blog so that I don’t have to keep apologizing for talking about this stuff :) ). Look for more pictures and some of my Williamsburg restaurant recommendations coming soon. This entry was posted in travel and tagged travel, winter on January 10, 2013 by Brandy. I started a draft of this post a week ago with the best intentions of doing a full out, new photos recap of the year. Well, fail. Instead Jason and I cut our Christmas visit home short in order to get him home to recover from a serious case of bronchitis, and for mine to really get rolling. We stayed around Georgia just long enough to pass it along to some unfortunate relatives; some Christmas present, huh (sorry BXP and Mimi!)? Last night we welcomed the new year blowing our noses instead of party horns, and downing gallons of water rather than celebratory bubbles. Despite all of that we were reminded of how amazingly blessed we have been in this past year. We have traveled the world,explored our own back yard, prayed for guidance, and received it, and grown to love and respect one another more with each passing day (which, after nine years of marriage, is a joy to find true). This year’s travels aren’t waiting long to begin. Tomorrow we leave for two and a half weeks in Williamsburg. There won’t be any cooking going on, but I hope to be able to share some of my favorite restaurants, shops, and sites. Also, I’ll be taking the two weeks to teach myself how to knit. In addition, I will be working through some photography tutorials to see if I can’t get some better pictures around here :). Progress updates to follow. As to our house: hopefully we will soon have a new door, followed by a new floor, leading to our renewed attempt to sell our condo. The next step is still unclear, but we feel comfortably sure we will know what to do when the time comes. Some of my upcoming plans for O.i.H., aside from highlights from Williamsburg, are follow-up to the allergy elimination diet– things you should be keeping an eye on following the crazy diet changes of the a.e.d., and more basic skills tutorials. I think that is all for now. I hope that your new year is off to a good start; see you soon. P.S. Be sure to check out the new recipe page that Jason worked up during some of his copious sick time. I think he did a marvelous job! This entry was posted in this, that and the other on January 1, 2013 by Brandy.